The official announcement on the Tamil remake of Pelli Choopulu is out, which is being produced by Gautham Vasudev Menon's Ondraga Entertainment in association with Kondaduvom Entertainment. As reported by us earlier, the film will have Vishnu Vishal and Tamannaah playing the lead characters, Vinod and Ambika. 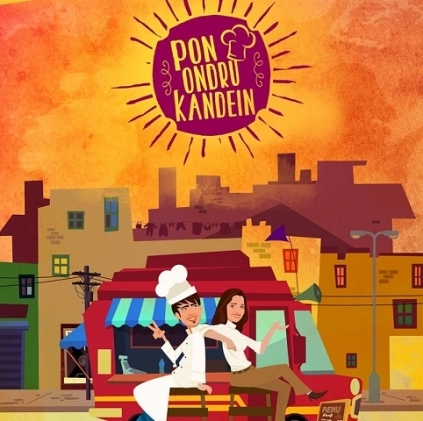 The film, titled as Pon Ondru Kandein, will be directed by Gautham's erstwhile associate, Senthil Veeraasamy, who has also acted in Enai Noki Paayum Thota. The technical crew of the film comprises most of the people who worked in Kidaari. The film's music will be scored by Darbuka Siva, while the cinematography and editing departments are taken care by S.R.Kathir and Praveen Antony respectively. Pelli Choopulu was one of the most loved Telugu films of last year, which received high praise from critics and audience. Will the magic repeat? Let us wait and watch! People looking for online information on Gautham Menon, Pon Ondru Kandein, Senthil Veerasamy, Tamannaah, Vishnu Vishal will find this news story useful.